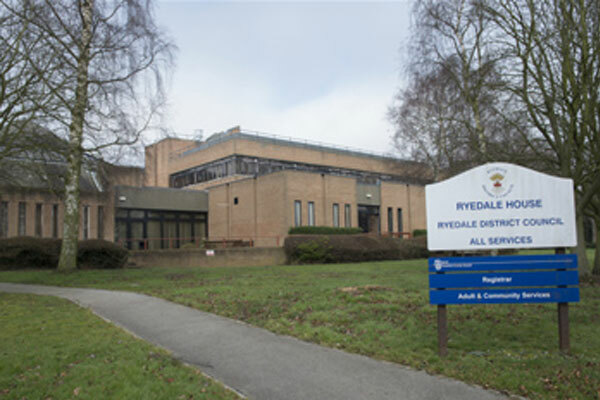 View details about the Malton registration office at Ryedale House. There is usually ample car parking. Malton Register Office has two ceremony rooms, the larger comfortably seats up to 60 guests whilst the smaller seats up to 20. There is car parking on site but this can be busy during the week. On Saturday and Sundays there are ample spaces available. The office is set in the grounds of Ryedale House which offers excellent possibilities for photographs and do feel free to throw your bio-degradable confetti in the grounds. The office has disabled access and there is a toilet available on site.